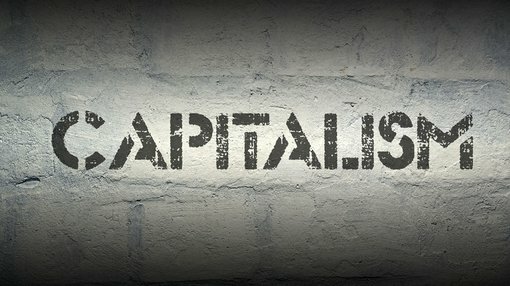 Should we avoid quarterly capitalism? You can see by the headlines below, that when discussing quarterly capitalism, there is no real upside. Mike Cornips, Director at Options Educator, TradersCircle explains. 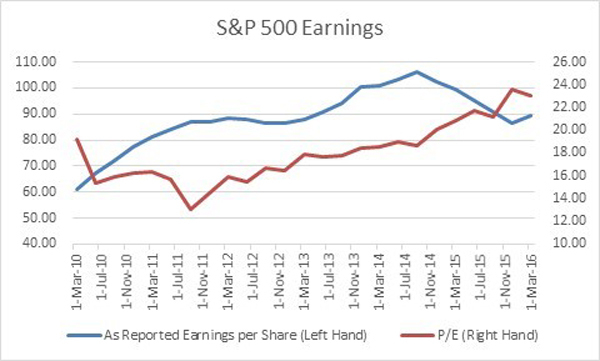 The Price/Earnings ratio for the S&P 500, based on a “as reported earnings per share”, is about 23 times earnings. (source: S&P ). The earnings for the year ending 31st March 2016 is estimated to be 89.28, and based on an Index level of 2059. Factset.com has the 12-month forward Price/Earnings ratio at 16.6 times, based on earnings estimates of $124.43. These are inflated earnings figures based on non-GAAP earnings that analysts use to make things look better than they really are. Nevertheless, Factset still expect that 2016 first quarter earnings for all ten sectors will fall compared to 31st December 2015 estimates. These decreased earnings per share estimates also need to be seen in the context that Corporate America is expected to undertake as many share buybacks as financial engineering can possibly allow. Stocks in the S&P 500 have undertaken about $600 Billion in share buybacks over the past 12 months, which theoretically should increase earnings per share. In addition, stocks pay dividends of nearly $400 Billion. The total payout of S&P 500 stocks is about $1000 Billion or about 5% of market capitalisation. This financial behaviour can be termed ‘Quarterly Capitalism’, short-term, myopic, greedy and dysfunctional. Having identified the problem, we should expect nothing to change until the next financial crisis. For a refreshing view on why we should start making long-term decisions, we can look to Australia’s own Future Fund. Every day short-term decisions taken on behalf of long-term investors risk destroying value.